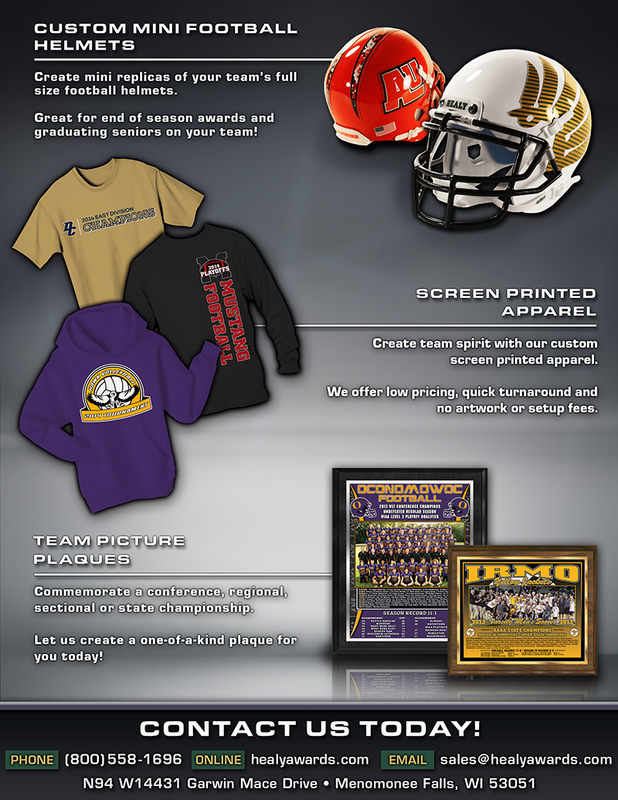 Silk Screened Gym Uniforms – Delivering Head to Toe Performance! Outfit your students with Gym Uniforms that deliver head to toe performance! Gym Uniforms are great for your school as they foster school spirit, reduce theft (spaces for student to write his/her name are on each garment), promote team unity and save money! 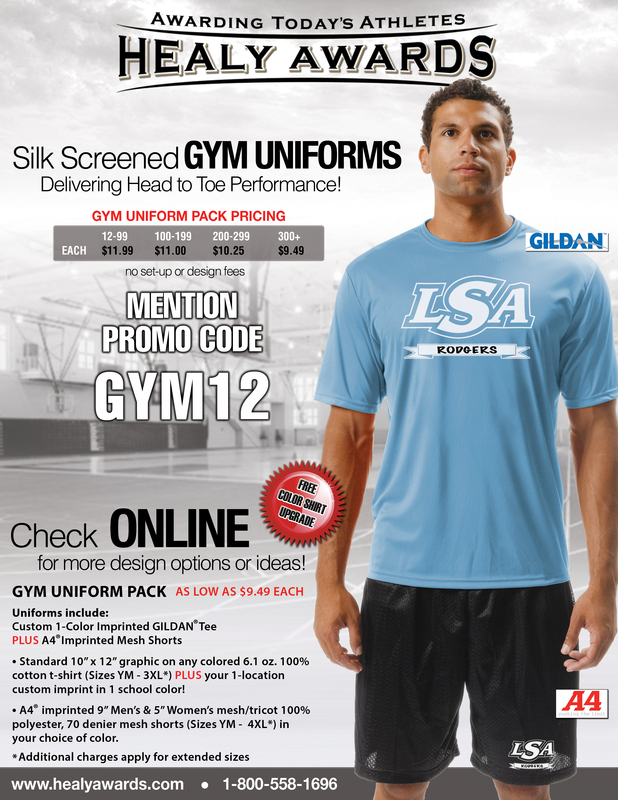 Our Gym Uniform packs are priced as low as $9.49 per pack and include a FREE color shirt upgrade. Standard 10″ x 12″ graphic on any colored 100% cotton t-shirt (Sizes YM – 3XL*) PLUS your 1-location custom imprint in 1 school color! A4 imprinted 9″ Men’s & 5″ Women’s mesh/tricot 100% polyester, 70 denier mesh shorts (Sizes YM – 4XL*) in your choice of color PLUS your 1-location custom imprint in 1 school color! * Additional charges apply for extended sizes. 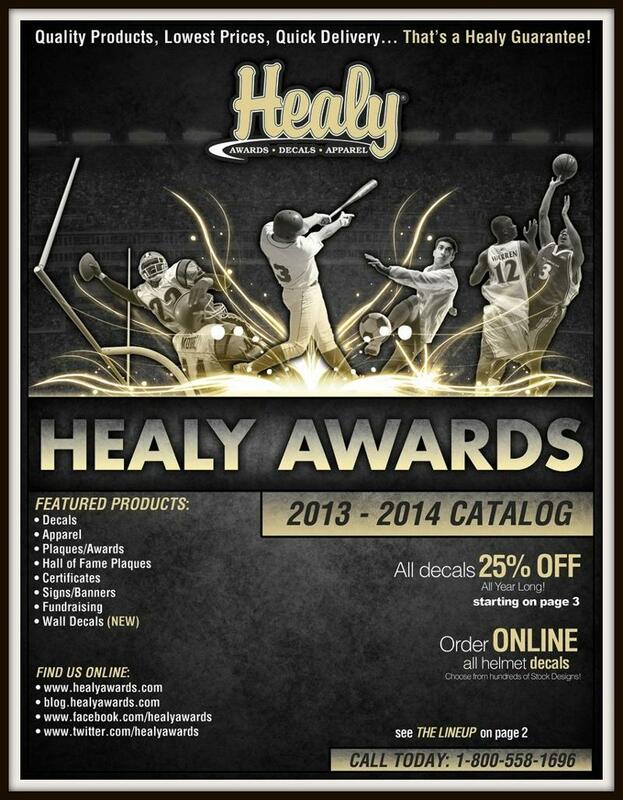 Let Healy Awards help you design a T-Shirt that ALL of your kids will love! We offer low prices on our silk screened apparel and our experienced art department staff is here to take your dream for a t-shirt, and turn it into reality. 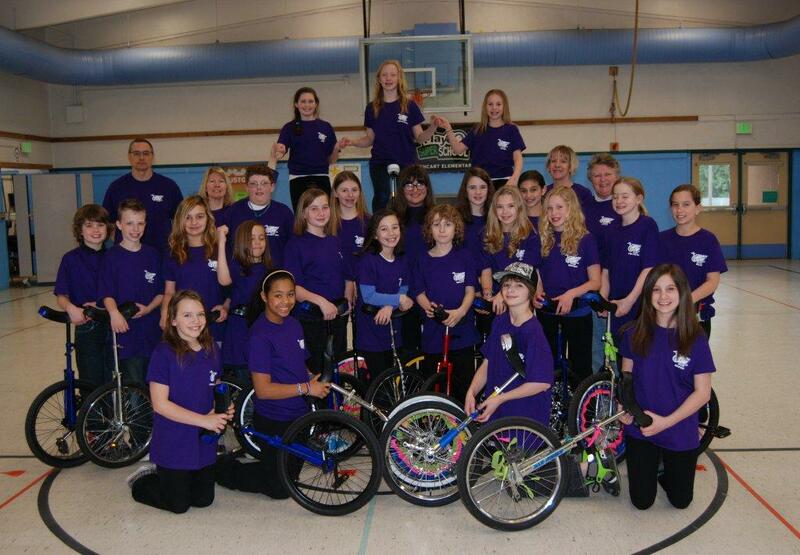 Check out the shirts we recently screen printed for the Cathcart Unicycle Club. “I have been meaning to send you a thank you and wanted to include our team photo at the same time so you could see all our shirts! I just got the photo from our yearbook staff and thought you might like to see it. 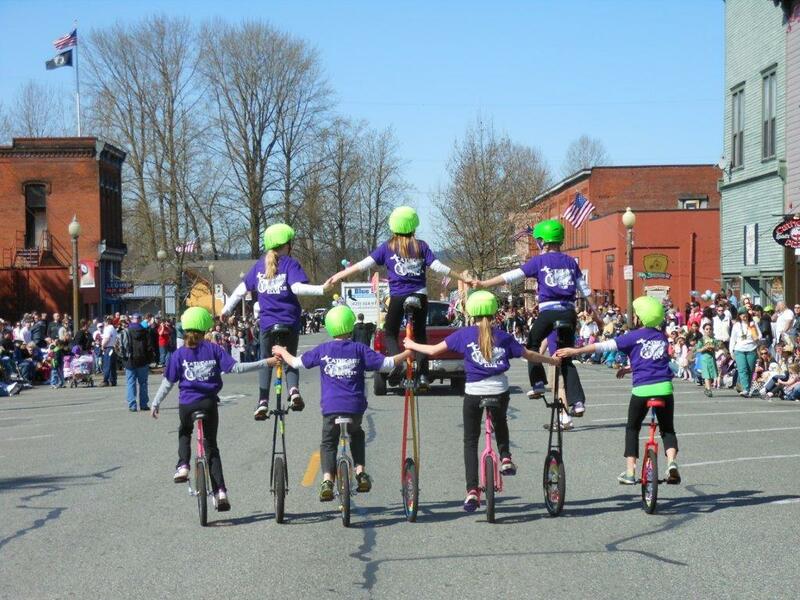 We took 1st place in both parades we performed in this spring, wearing our shirts, and our upcoming show for the school and parents is the middle of June.